You are currently browsing the tag archive for the ‘website’ tag. 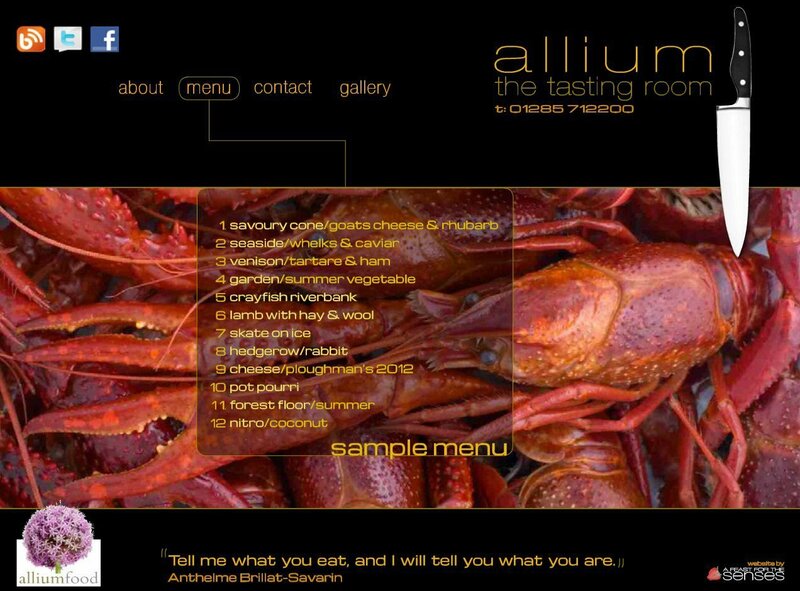 Away from the kitchen experimentation and private catering work, much time has been spent working with the good people over at allium, helping with development of the long-gestating tasting room project – both with the dishes that will make it to the launch menu, and also building a website and other materials to herald its arrival. In contrast to the crisp, white cleanliness of the simply allium website and marketing bumpf, the aim with this one was to come up with something a little cooler, clubbier, and almost retro-styled. the tasting room, which opens on Friday, August 31st, is going to serve set, 12-course menus (with accompanying wines) for £80. Expect courses that reflect the work we’ve been doing in the allium test kitchen over the last couple of years, including some taster-sized updates of classics like lamb with hay and wool and skate on ice. Needless to say, we’ll be back in test kitchen soon, working to ensure that the menu changes and evolves with the passing seasons.